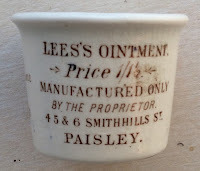 on the Lee's Ointment pot. Little other information is available concerning this pot. 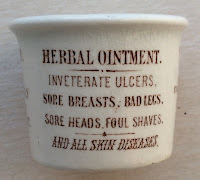 Arguably this is one of the most desirable pictorial ointment pots which carries a sepia print. 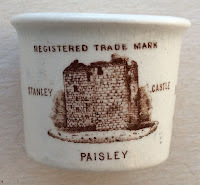 The building depicted on the pot is that of Paisley Castle. book produced by Messrs. Houghton & Priestley, page 99.